And there were shepherds living out in the fields nearby, keeping watch over their flocks at night. An angel of the Lord appeared to them, and the glory of the Lord shone around them, and they were terrified. But the angel said to them, “Do not be afraid. I bring you good news of great joy that will be for all the people.” (Luke 2:8–10)Merry Christmas Everyone! Tomorrow is Christmas, and I want to personally wish each one of you all the love, joy, and peace the birth of Jesus, 2000 years ago, brings. I want to take a moment this week to begin laying a foundation for looking at the actual teachings of Jesus—which we will be doing throughout 2013—by grounding those teachings in a detail about the birth of Jesus that many today miss. I’m going to say this and, if you are like most, you’re not going to get the significance at first. But stay with me. I promise it will be well worth the few minutes it takes to read through this. What is this detail of which so many miss the significance? The good news, the euaggelion that God had come to rescue us from our enemy, was first announced by heaven to earth to . . . shepherds. Among the occupations of first-century Israel, socially, shepherding filled one of the lowest roles and bore the brunt of their low place in society. Shepherds were considered untrustworthy, and their work—according to Levitical Law and all the myriad of laws of the Pharisees—made them continually unclean. What is the significance of Heaven choosing shepherds to FIRST learn of the birth of Jesus? The most obvious implication is that the good news of the Jesus story first came to the social outcasts of Jesus’ day. Modern, Westernized Christianity has equated Christianity for so long with “respectability” that today the Church (praise God for the few exceptions) has often missed out on people on the fringes. Some would argue that this is too kind. To simply say we have “missed out” ignores that reality that, for some, they have been more than simply “missed.” They have been driven to society’s fringes, having been themselves marginalized by the very ones who carry the name of this Jesus. It matters how we understand the story of Jesus’ birth. Historically, in my opinion, we’ve spent countless hours on apologetics defending a virgin birth when we’ve missed the biggest implications of the story surrounding this birth. How we hear the Christmas story, read the Christmas story, and interpret the Christmas story matter! The Christmas story has within its details (being born into immense poverty, being announced to the socially outcast, bypassing the religious of the day, and so on.) the entire framework in which to lay a foundation for revealing, to this world, the radically different picture of God that Jesus came to bring us. Interpret the details of the Christmas story rightly, and you get everything; miss them, and you miss all. What do the details of the story say to us? In brief, all the poor, the insignificant, forgotten, the marginalized—all those who have been judged as morally inferior by the religious of any time period—are the very people of the world who can gather around this lowly manger and dare to believe that the Babe who lies there really belongs to them. Jesus did not come to affirm the religious in their religiosity but to gather the outcast, the socially marginalized, and those judged by the religious of his day as being morally inferior. Those who encountered His radical other-centered, self-sacrificial love and embraced His love for them (a love like living water) were awakened and began reaching out to others around them who had been marginalized as well. 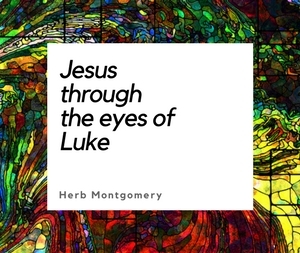 At the heart of Luke’s retelling of the Jesus story (and I believe it was the reason he—unlike Mark and John—included the details of Jesus’ birth) was his understanding that in Jesus, the excluded had been included and the “outsiders” had been brought within the Kingdom of God. Especially during this holiday season, in the midst of all that has taken place recently in the news, and in light of the details of the Christmas story itself, we must not forget what the details of the very story we are celebrating shout to us. People are of infinite value to Him who made them and then came to them to give all He had to rescue them. The God we see in Jesus is a God to whom people are of immeasurable value: From the woman at the well to Simon the leper, from the woman about to be stoned for breaking the law to the thief on the cross. Jesus Himself never looked at people as transgressors in need of punishment (like the Pharisees) but as victims in need of a Savior. This was true even of the “”worst”” he encountered. If we can catch it, the God we see in Jesus changes everything. I’ll close this week with a quotation a friend of mine shared with me last week. I pass it on to you. I believe it captures that essence of what the details of the Christmas story are saying about God, about you dear reader, and about everyone else in this world. Remember, the coming of God was first announced to those judged by the religious of Jesus’ day as some of the lowest on the social scale, the outcast, and, by occupation, unclean. Again, Jesus never looked at those around him as transgressors in need of punishment but as victims who had been taken captive and needed a Savior. In all the hustle and bustle of this season’s celebrations, traditions, and revelry, we must not allow even these things to prevent us from realizing and remembering the scandal that God came into human history completely helpless, as a newborn, into abject poverty, being laid in the feeding trough of a stable, and announced only to a group of socially outcast and unclean. Poverty itself was looked at as a judgment from God upon sinners. Those who were poor were not looked upon as less fortunate but, according to a misinterpretation of Deuteronomy 28, getting what they deserved. And shepherds, according to culture of His day, would be the ones you would expect God to pass by when announcing Jesus’ coming. By entering human history this way, God identified with the powerless, the oppressed, the poor, the marginalized, the unclean, the judged, and the disdained. Again, the insignificant, the forgotten, those who fail at playing the religious games, those judged as morally inferior—they are the very ones that can gather around this lowly manger and dare to believe that the Babe who lies there really belongs to them. God is radically different from what we have assumed. The God we see in Jesus changes everything. We’ll see you in ’13.